You may remember lovely Honey Belle (now Bella), who was adopted last summer. Unfortunately Bella's new family went through a crisis, and Bella started to act out by jumping a tall fence and running off. She seemed to be bored and anxious with the stress in her home. 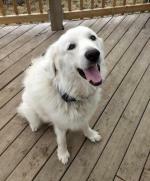 Although heartbroken, her mom decided it was best that Bella come back into rescue, where she can be placed with a family with the time to work on her training and give her a forever home. 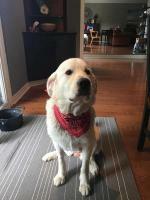 Bella is now in a foster home in Southern Ontario with two other dogs, which she loves. She did not exhibit any anxiety at all when she was boarded at Dr. Graham's clinic until she could go to the foster home. 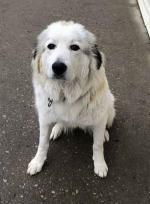 Bella is a lovely, affectionate and energetic young dog, about 2-3 years old. She is wonderful with children and dogs, and adores her humans. She walks very well on a leash. 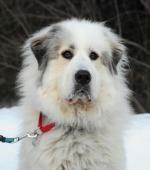 Bella has had a lot of moves in her young life and craves stability and her forever home. 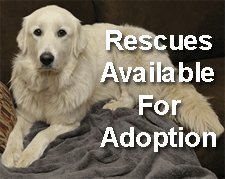 DO you have a loving forever home for Bella? She is waiting for you. 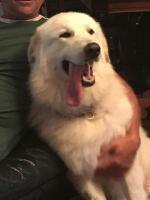 This Great Pyrenees rescue is a young (1 - 2 years old) spayed female, Honey/Bella. Honey/Bella loves people and other dogs. She is quite energetic and is very playful. She is also extremely affectionate… quite a catch actually. Honey/Bella unfortunately has not grown out of her “puppy” stage yet and would not be completely trustworthy alone in the house. She still tends to chew blankets while in her kennel, so she will need to some work to teach her what is and is not acceptable. However she appears eager to learn and is smart enough, so it will not take long to teach her acceptable behaviour. 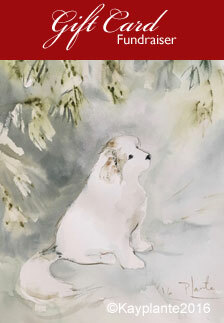 And of course, as she ages she will grow out of her “Puppy” stage and mature into a full beautiful adult. 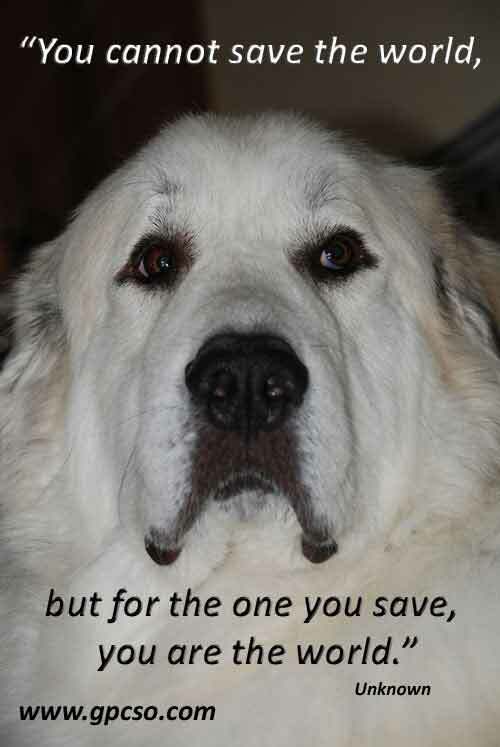 Would you like to share your life with this beautiful Great Pyrenees? Contact us using the contact links at the bottom of this page. And the Happy Ending... or so we thought. Honey/Bella has gone to her new home. Her new owners are a couple with a 3 year old child. Apparently the final decision was made by the 3 year old who announced that he wanted her and they could take her home. 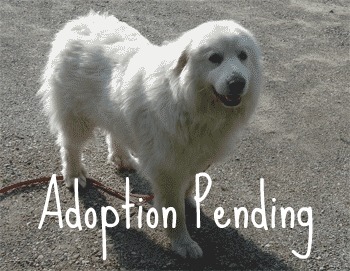 Her new Dad had a Great Pyr when he was growing up and wanted another one when the decision was made to get a dog. She has settled in very nicely and everyone is very happy. Please give Bella's sad tail a very happy ending.